A lot has happened to them(Twiggy Lash Studio) since. During this time, the studio has already expanded its business from 1 unit to 2 units in the same building (1 dedicated to eyebrow micro-blading and the other for lash extensions). 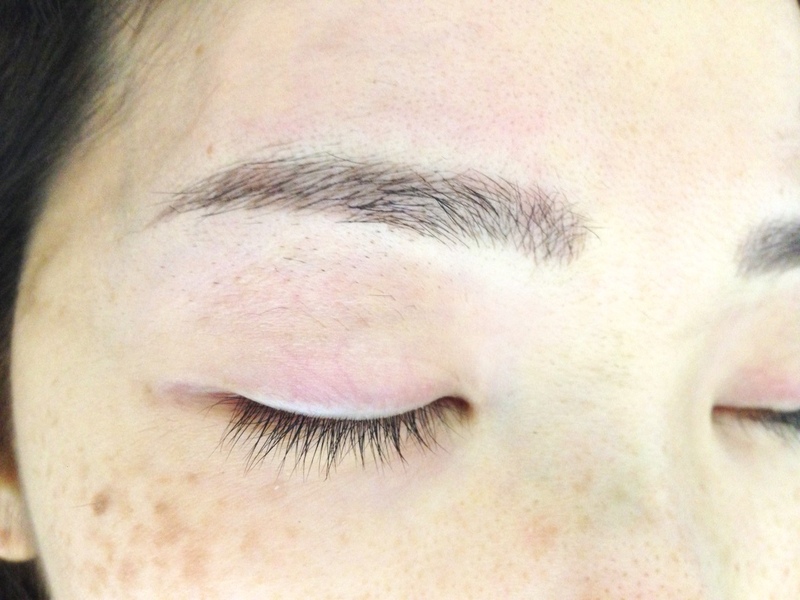 I went in for my second microblading session for my brows. If you missed reading/watching my first experience, you can see it here. It takes about three visits to complete the look, with a window of 1-2 months in between each session. During these two months, I thought my brows had faded to its original vulture naked state, but I am just too blind to see the strokes that are still there. The strokes that remain are light in color. Victor, my makeup artist, pointed them out and reassured me that it was intended to look that way. Because rather than getting everything done once and for all, Victor uses “layering technique” to tattoo the same strokes once after another. The result: a much natural look than your regular permanent makeup, and the prevention of the epic, red caterpillar eyebrow tattoo fail. With Victor’s experience, the whole process took only about an hour, including the 25 minutes of waiting for the numbing cream to take effect. I don’t like doing anything halfway, so I also did lash extensions again. What’s the point of micro-blading your brows when you still have to get that makeup Bag out? Last time was my first time getting lash extensions and I did 0.8cm- 1.1cm mink hair extentions. Having witnessed one of my friends plucking all her lashes out after getting lash extensions due to discomfort, I was afraid that the same would happen to me. But it turned out to be fine, there was no discomfort at all, so I took it up a notch and got the 0.9cm – 1.2 cm mink hair extensions. My lash artist was Midori this time. She shook her head at my awkward lashes, because some of them are just growing out. With professionalism, she crisscrossed some of my lash extensions to hide the funny look.